Brussels (AFP) - European Union ministers adopted on Tuesday a blacklist of 17 non-EU tax havens including Panama, South Korea and the United Arab Emirates after a year of tough negotiations. 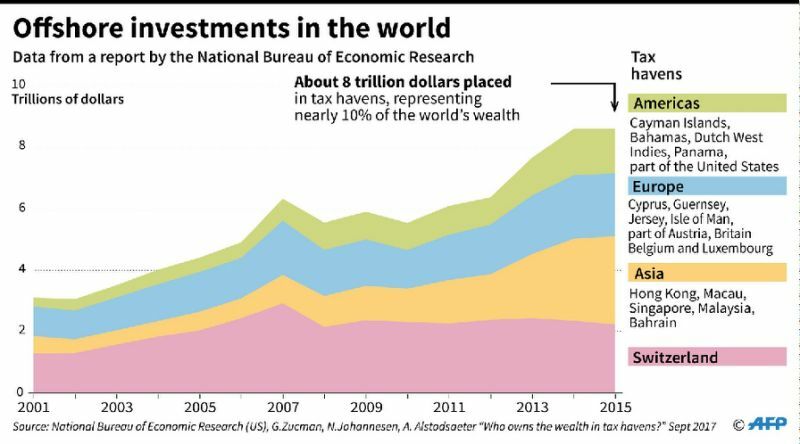 The Paradise Papers leak last month gave a new impetus to the plan, making public some of the intricate ways the world's rich evade tax using offshore havens. 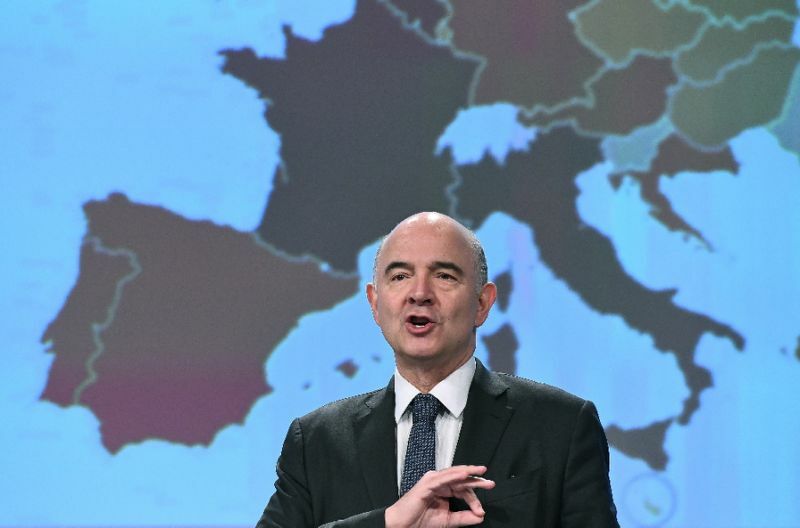 "We have adopted at EU level a list of states which are not doing enough to fight tax evasion. This blacklist includes 17 states," French finance minister Bruno Le Maire told reporters in Brussels. The EU has struggled for over a year to finalise the blacklist, with smaller, low-tax EU nations such as Ireland, Malta and Luxembourg worried about scaring off multinationals. The countries on the list are: American Samoa, Bahrain, Barbados, Grenada, Guam, Macau, the Marshall Islands, Mongolia, Namibia, Palau, Panama, Saint Lucia, Samoa, South Korea, Trinidad and Tobago, Tunisia and the United Arab Emirates. A further 47 countries are on a "grey list", sources said. Britain fought particularly hard against the list, afraid that its crown dependencies, including Jersey and the Virgin Islands, would be singled out. Senior officials from member states had whittled down an initial draft of 29 countries, with divisions still strong in recent days on who would make the final version. EU Economic Affairs Commissioner Pierre Moscovici said ahead of the official announcement that this was fewer than the 20 countries he had hoped for but would be a "initial victory". Enforcement is the biggest problem, with EU countries split over whether blacklisted countries should be subjected to financial sanctions or if the list itself is shaming enough. Several states, including France, support tough measures against the listed tax havens such as exclusion from EU and World Bank funding, though the debate is still open. Other countries are reluctant to draw up common sanctions, believing that responsibility is better left to member states. "To be on a blacklist is in itself bad enough and of course there will be consequences for these countries," Luxembourg Finance Minister Pierre Gramegna said. An existing list of tax havens compiled by the Organisation for Economic Cooperation and Development (OECD) currently includes only Trinidad and Tobago. The EU originally screened a total of 92 jurisdictions and once the list is compiled it is expected to be continuously updated. In a blow to activists, states that charge no corporate tax are not automatically considered at risk of breaching EU tax criteria. However, the criteria do single out countries that facilitate the creation of shell companies and other structures that could aid tax avoidance. Countries in the EU's firing line have been given an opportunity to stay off the list if they provide a political commitment and a detailed plan to comply. All countries, which initially included the US, were given until Tuesday's meeting of the EU's 28 finance ministers to provide feedback and possible measures to satisfy EU demands. 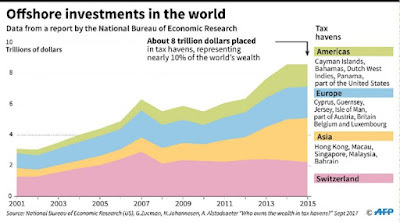 The list is the latest international effort to clamp down on tax avoidance -- increasingly seen as a moral issue -- following the OECD's move to compile a list of "uncooperative tax havens".